Boeing has selected UK-based companies to supply the raw materials needed by its new Sheffield factory (set to open later this month) to make components for 737 and 777 passenger jets. This is Boeing’s first European venture; it will produce 7,000 actuation system components each month, to be shipped for assembly in Boeing’s Portland (Oregon) plant in the USA. Sir Michael Arthur, president of Boeing Europe and managing director of Boeing UK and Ireland, said: “In Sheffield, we have an excellent local supply chain. 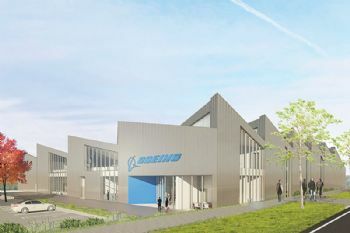 Worcester-based Aeromet International Ltd will supply Boeing Sheffield with high-strength, complex and multi-core aluminium cast parts. Sheffield-based Maher — a first-time supplier to Boeing — will supply bespoke steel bar and pre-machined components (made of UK-sourced steel from Liberty Speciality Steels) from its facility three miles from Boeing Sheffield. Sheffield-based MetLase Ltd, a joint-venture between Rolls-Royce and Unipart, has been chosen to be Boeing Sheffield’s tooling and fixturing partner. Managing director Stephen Dunn said: “The long-term agreement with Boeing marks a new chapter for MetLase. Meanwhile, Redditch-based Mettis Aerospace Ltd will supply Boeing Sheffield with steel alloy precision-forged components. 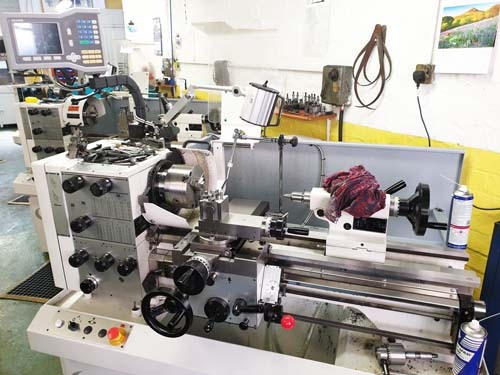 Boeing (www.boeing.com) has already announced a technical partnership with Rotherham-based Nikken Kosakusho Europe Ltd to provide high-precision tool-holders, cutting tools and tool pre-setting solutions.